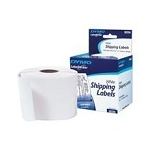 The DYMO LabelWriter 450 Turbo printer enables you to print impressive address labels, shipping labels, file folder labels, name badges, inventory and barcode labels and more. 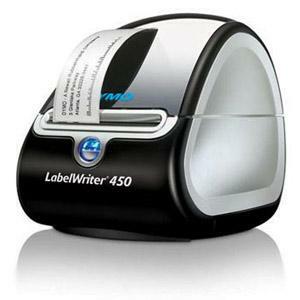 Prints fast – up to 71 labels per minute, 40% faster than the 400 model. High print resolution - 600x300 dpi, offering cleaner and crisper images. Uses thermal printing technology – no expensive ink or toner needed!